I know the before/after differences may not show up well in the pictures, but for those who own these cars and are familiar with it, I am sure you can see/notice the differences. 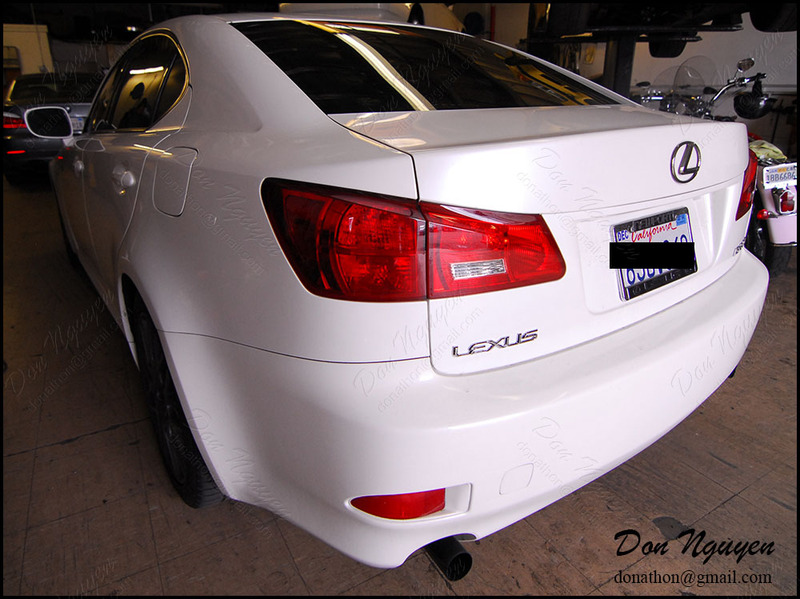 The owner of this white Lexus IS250 brought in his car to have me apply a clear red transparent film over the orange amber portion of his tail lights. This gives the tail lights a nice consistent red tone/finish to the entire tail light, without having the random orange amber break up the tail light's lines. In addition to the tails, I also applied a clear transparent yellow film to his head lights. I typically use the yellow for fog lights, but I have had quite a few requests for the yellow to be applied on head lights in the past and lately.